Krista Junge leads a team of OD consultants to advance BJC Healthcare’s strategic imperative to retain and attract a highly engaged workforce that provides excellent patient care. The OD team partners with HR and operational leaders to provide people, cultural, and leadership solutions. An instructional designer and OD practitioner at heart, Krista seeks to simplify complex situations into manageable work that can incrementally move the needle toward improvement. Krista started her career working with adults with developmental disabilities, and then transitioned to a position developing programs for volunteers. It was here that she learned she could “get paid” to do what she loved – develop people and organizations. After completing a graduate program at SIU-E, she joined Maritz Performance Improvement Company and designed training programs for Fortune 500 companies. Her experience at Maritz prepared her for expanded roles at United Healthcare and Enterprise Rent-A-Car, where she helped create a new Corporate Training Department. Just as she started getting a bit antsy for a new challenge, an opportunity opened at Missouri Baptist Medical Center (MBMC), providing a chance to narrow her focus to employee engagement and leadership development. MBMC is part of the BJC Healthcare system, and when the BJC Leadership Development Center was envisioned, Krista couldn’t pass up the opportunity to start something new. In her role she developed programs for leaders, from the front line to executive levels. 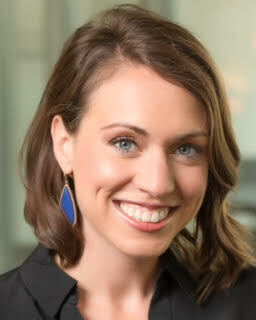 In 2014 the BJC Leadership Center merged with the BJC Center for Lifelong Learning, giving Krista the opportunity to broaden her role to organizational development, including employee engagement and retention; talent management; performance management; team development; and leadership coaching. Cheryl is a facilitator, consultant, coach and leader with over 20 years of organization development, training and human resource management experience. She is committed to the OD values of respect and inclusion, collaboration, authenticity, self-awareness and empowerment. She has worked in a various industries, but has worked within healthcare for the past 16 years. She currently leads organization development and inclusion at Mercy, having started at Mercy in 2015 leading the clinical education function. 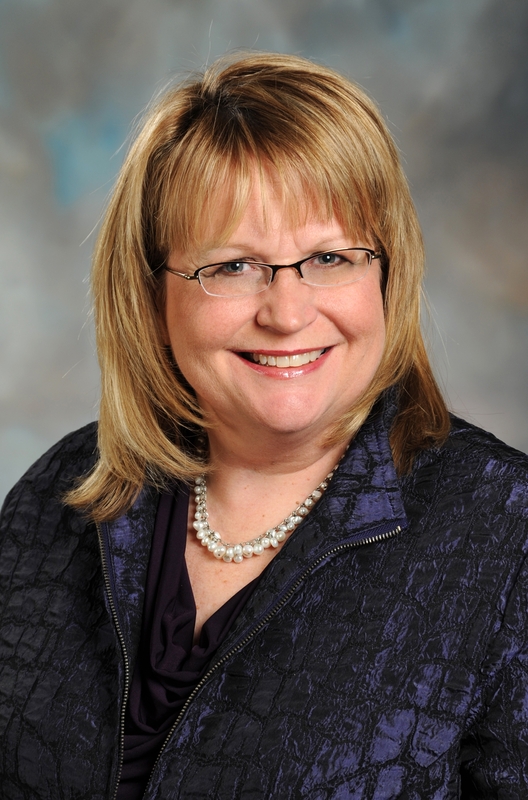 Cheryl joined Mercy after serving as the Director of Organizational Learning at Bronson Healthcare in Kalamazoo, Michigan and as the Manager of Organizational Effectiveness at St. Louis Children’s Hospital/BJC Healthcare. Cheryl completed her Doctor of Education degree in Organization Development and Learning from the University of St. Thomas in 2011. She has taught adjunct at Fontbonne University and Western Michigan University – she enjoys interacting with graduate students to keep her thinking fresh. Cheryl enjoys traveling and hanging out with her beloved cats and “grandkids” (she and her spouse don’t have children of their own, but she has three grandchildren). Deborah is a consultant specializing in talent management, human resources, and organizational development. With over twenty years in executive level human resource positions in manufacturing and non-profit, Deborah brings a broad business perspective, strategic outlook, and ability to effectively work with individuals at all levels of the organization. Deborah began her career in operations where she became co-owner and Vice President of Operations for a small electronics manufacturing firm. After 10 years she decided to devote her energies to the people side of the business and became Vice President of Human Resources and Corporate Services for Carboline Company, a manufacturer of industrial coatings. She then moved on to Chief Human Resources Officer for the Gateway Region YMCA and ended her corporate career as Vice President of Human Resources at idX Corporation, a manufacturer of custom retail fixtures. Deborah holds a Ph.D. from Walden University in Organizational Psychology along with an MBA and BA in Business Administration from Lindenwood University. 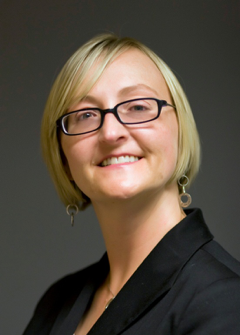 Deborah is an adjunct instructor at Lindenwood University and University of the People and teaches the PHR/SPHR certification prep course for AAIM. In her spare time, Deborah can be found spending quality time with her husband Angus and their two rescue dogs Yumi and Zoey. Joani has more than 15 years experience in Career Management, Human Resources, and Organization Development, including executive assessment, employee onboarding, change management and agility, succession planning, developmental coaching and training. Her expertise includes work with individuals to maximize personal and organizational performance. Joani led a women’s leadership coaching program, and has been a Consultant with Right Management since 2001. Prior to joining Right Management, she was Director of Career Management at Maryville University and worked with Procter & Gamble Sales in regional college recruiting. Joani earned a Bachelor’s in Management/Organizational Leadership from Maryville University, where she is working on her Master’s in Organizational Leadership and Development, expected in Spring 2016. She is a graduate of the CORO Women in Leadership Program. In addition to the STL-ODN, Joani is a member of the St. Louis Chapter of the International Coach Federation (ICF). Joani has served on the STL-ODN Program, Conference, and Mission-Vision committees, and most recently has served on the Executive Team for three years as Volunteer Coordinator recruiting and matching STL-ODN volunteers to standing and ad hoc committees for special projects, to increase member involvement. 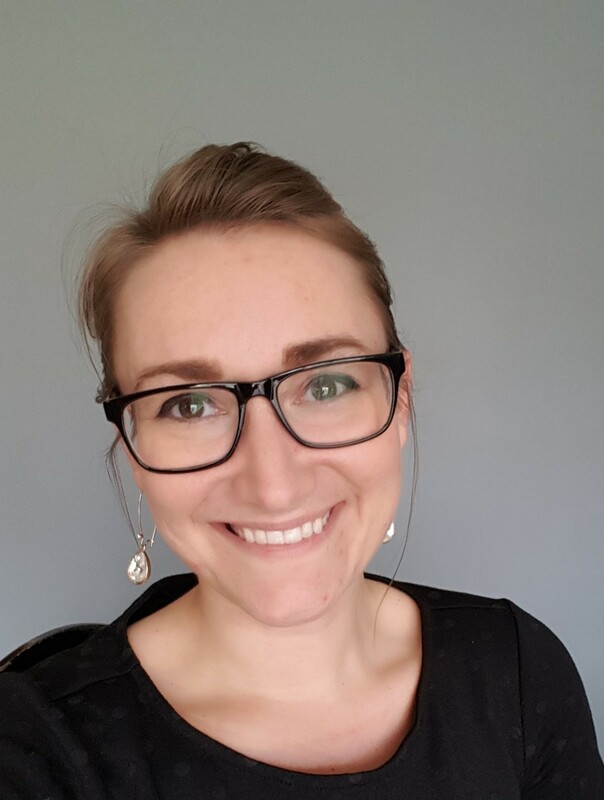 Jyssaka currently works for Saint Louis University as the Director of Professional Development and Placements for the graduate Health Administration and Public Health Management and Policy students. She holds a master’s degree in Organizational Development and Leadership and bachelor’s degree in Communication. She has served in a variety of roles, beginning her career in recruitment and college admissions. She is thrilled to be using her skills to assist STLODN in growing their membership base. In her free time, Jyssaka loves to go to the zoo with her husband and 2-year-old son. Andy is a small business owner with 20 years of experience in the farrier industry. In addition to leadership of a state-wide trade organization and serving as a board member for a national trade organization, he has been involved in certification and education. Andy sees many parallels between his work with horses, and the psychology of leadership, change, engagement, and valuing diversity. In 2015 he began a career transition into the field of OD. In 2018 he completed an M.A. in Leadership and Organizational Development to compliment a B.S. in Ag-education and a minor in Agribusiness Economics. Much of his current work has been in survey design and data analysis. He and his wife have a 13-year-old daughter and an 11-year-old son. Marsha has served in numerous roles, as program and project manager as well as Executive Director of small not-for-project endeavors. She holds a MBA and bachelor degree in Education, with employment for a large banking company and consulting to NFP organizations as part of her work history. She has led two programs that earned “What’s Right With the Region” awards from FOCUS St. Louis, and is a graduate of the CORO Women in Leadership program. She has held board positions for several NFP organizations and served twice on United Way Allocations Panels. Today, she volunteers in a number of functions, primarily to faith entities where she helps boards build alignment and vision as well as infrastructure for mission. In her spare time, she built and continues to lead St. Louis Women’s Cycling Community and serves on the planning committee of the STL Women’s Bike Summit, conducts historic research, designs course curricula and is an instructor. Rita Jo is currently a Leadership Development Business Leader at the Boeing Company. In this role, Rita Jo spends her time designing and delivering key leadership courses at the Boeing Leadership Center; her area of focus is with the first line leaders. She has a passion for creating an innovative, engaging and productive culture by tapping into the ideas, strengths, and potential of all teammates. Rita Jo has been with Boeing for 7 years in a variety of roles including Finance, Project Management, Employee Development, Human Resources, and Employee Relations. Rita Jo grew up in Cape Girardeau MO and graduated from Southeast MO State University with a degree in Accounting and minor in Interior Design. She also has a Masters in Organization Development from Webster University, a certificate in Return on Investment (ROI) from the ROI Institute at Villanova, and is a trained Six Sigma Black Belt. Rita Jo is married to Chris and they have an energetic one year old, Anna Catherine. In her free time she enjoys fostering her entrepreneurial spirit, DIY projects, entertaining, gardening, live music, traveling, reading, wineries, and spending time with friends and family. Kassy is a career coach and strategist working in Operations at World Wide Technology. She has 9 years of experience in finance, lean transformation in the office, and contract negotiations/administration. Additionally, she works independently as a career coach helping others with resume building, interview preparation, and "boss talks". Her love for organizational development and strategy with a foundation of finance and vision, to continually improve, make her uniquely qualified to support a range of growing teams. Kassy's formal education, a bachelor's degree in Computer Information Systems and master's degree in Human Resource Development, gives her additional perspective for coaching individuals, teams and organizations alike. Kassy is married to Seth and mom to Mason and Kennedi (elementary age). They have two dogs: Bruno, a doberman-beagle, and Tucker, a yorkie-poodle. They are active in supporting their community through We Love St. Charles and their church, Morning Star Church - St. Charles. Kassy is new to the STL-ODN executive team serving in her first role as finance chair. Anna Natoli joined the Executive Team in November of 2018. She is currently finishing her MA degree in Nonprofit Leadership with a Certificate of OD at Webster University. She completed her BA in Psychology at Webster with a minor in Business and a Certificate in Spanish. Anna had the great opportunity to study abroad in Mexico during her undergraduate career and has since pursued her desire for international travel. Anna’s passion is to help others - a passion she discovered and grew as she worked and volunteered for several nonprofits in the area. After graduation, Anna hopes to use OD to help nonprofits better achieve their mission. As the Administrative Manager, Anna plans to strategically support the Executive Team and members so that we can “bring OD to life”. Apart from her studies and STL-ODN responsibilities, Anna loves dogs and is a dog walker. She loves to travel, her favorite vacation spot is the Sea Organ in Zadar, Croatia.